See pictures of some basic childrens moves. 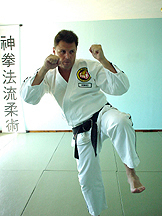 Children's Kempo Ju Jitsu is a specially designed system for age groups 6 -14 years of age. • FREE Insurance and membership fees. 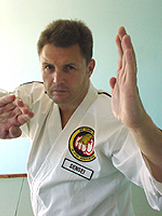 • No charge for gradings. • The grading system is based on an easy-to-learn syllabus from beginner to advanced students. 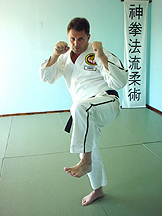 • Classes taught by qualified instructors. 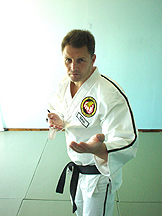 • The system combines self-defence, fitness, discipline and builds confidence.